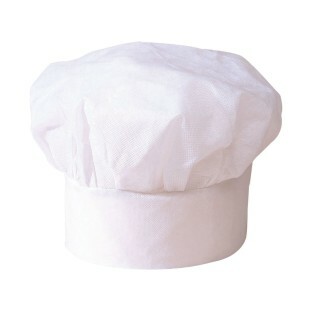 Classic chef hat is made of an extra durable non-woven fabric that stands up to daily use. One size fits all. Pack of 12. We would buy this product again! We used the hates for our 1st Grade music program. They worked out wonderfully. Much cheaper than ones sold on the internet for food service use. Dramatic play is always a hit with the children. The chef's hat enhanced their cooking school playtime. I'm a little concerned about durability.